A role that a person may take when a friend needs support with approaching potential partners. The original military term, wingman, defined a pilot who supports another pilot in a dangerous flying environment. Today, we honor that bravery by using the same term to describe a guy who misleads someone into sleeping with you. Original plan was to eat at Offbeat but I guess I got their operating hours wrong, they are closed on Sundays. 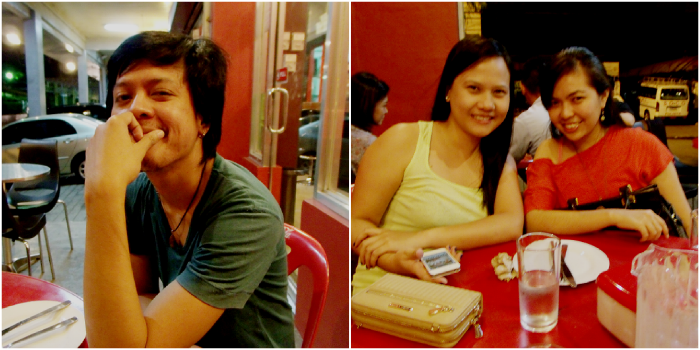 We roamed around The Collective a little bit, went back out again and decided to eat at Wingman instead. 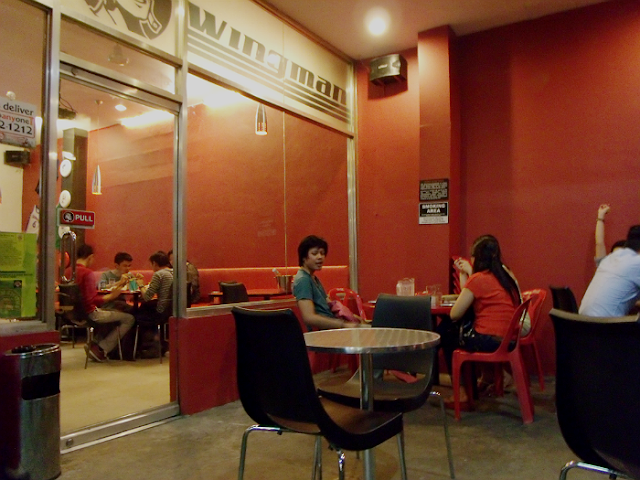 It's really hard to miss Wingman with the place's color, besides it's located at that not so hidden nook along Malugay Street (sometimes, more of Mayapis Street). This food joint's got that American diner vibe that also suites The Collective's eclectic theme. They even got a projector inside showing what I assume to be shows from a sports channel. We were given the menu as soon as we got settled. Of course, I sort of already had an idea what I'm getting for dessert. I made sure that I still had room for dessert. Crisp cast-iron skilleted flour tortillas loaded with three cheeses, tomatoes and their own pomodoro sauce. Comes with fire roasted salsa and sour cream. I am biased with quesadillas because they have cheese. So I am not going to bore you with how I love these cheesy creations. Crisp, light tortillas on the outside, chewy but not overpowering cheese (note: three cheeses) inside with a little tangy taste care of the tomatoes. It was the perfect way to start our dining experience! Nothing exceptional about this. Really looks like McDonald's twister fries with KFC's fries' taste. Ketchup, mustard, mayo, topped with a slice of American cheese and kosher dill pickle slices. I fail again at capturing in photograph the enormousness of this burger. I was only able to eat half of it because it made me too full to have dessert. Hands down with the burger patty. Juicy, moist, delicious and well seasoned. I actually thought the sides were kamote fries! Those were also potatoes! I guess that was how they really serve their hand crafted fries. It tasted really good. 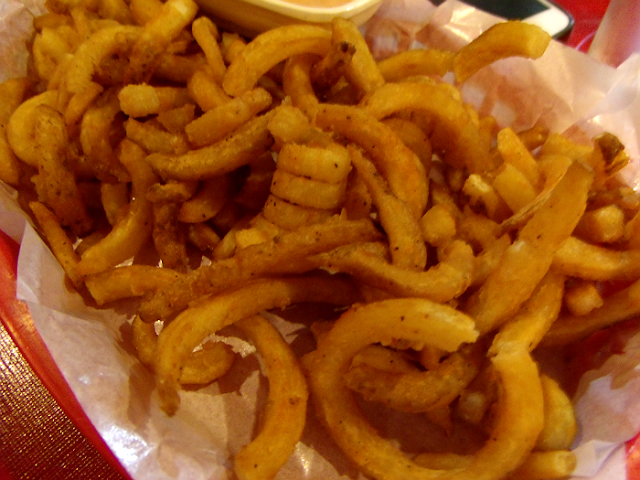 Very crispy and tastes better than the curly fries. And finally... drum roll please! Hahaha. 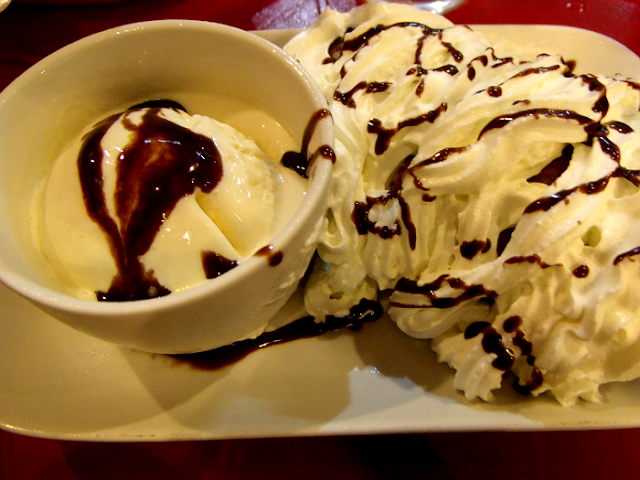 Sorry, no photos when I've finally unearthed the Snickers bar underneath that hefty topping of whipped cream over fried batter. I was truly captivated by this dessert. Though I wish the batter was thinner because somewhere along the line you feel like you're only tasting the fried batter. But still, it captured my heart (and stomach and tongue) and will not let it go. We were all full and happy and satisfied! 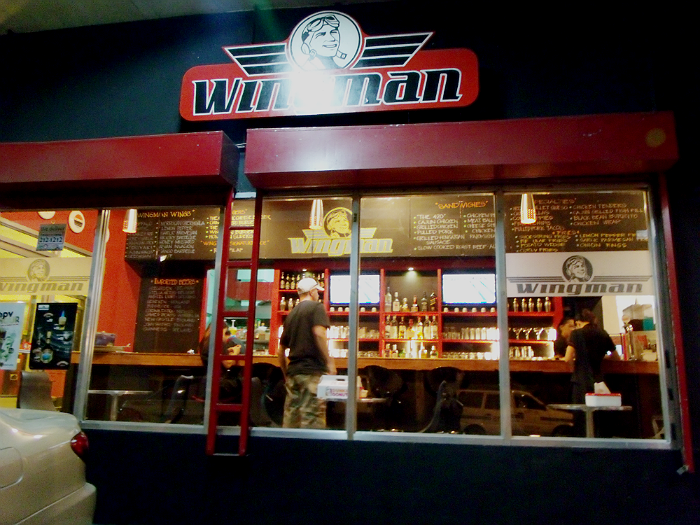 Whatever wingman truly means, it will always be for us, the perfect spot to kick back and relax, and eat comfort food! If ever you're in Makati, a trip to Wingman is absolutely worth it. It's both one of a kind but still strangely familiar. Definitely going back very, very soon for the Apple Mojitos and Garlic Parmesan Wings!